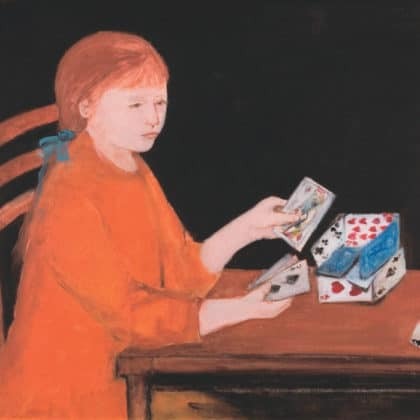 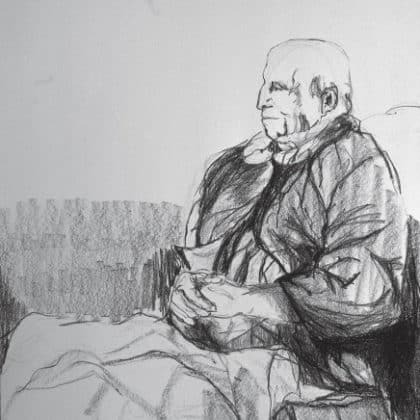 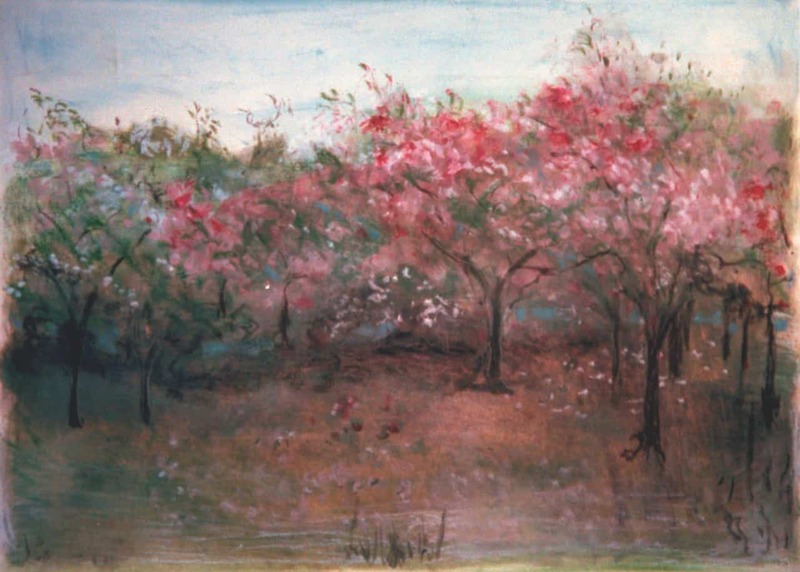 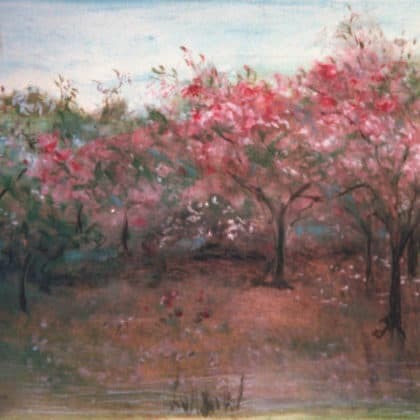 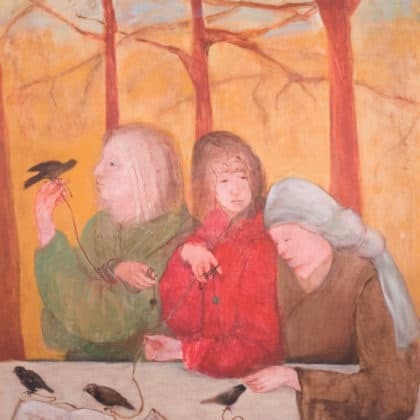 Though she majored in art as an undergraduate, it was not until she was a graduate student at the University of Iowa that she really began to paint life as she saw it---and for many years with emphasis on the elderly. 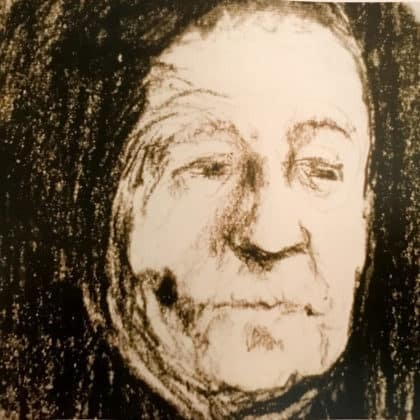 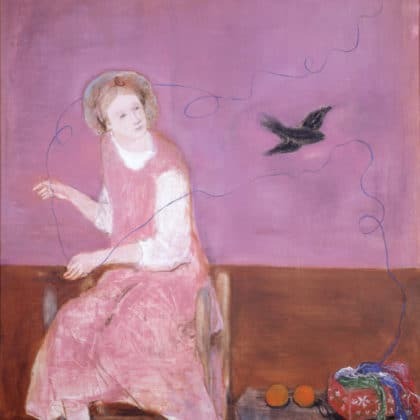 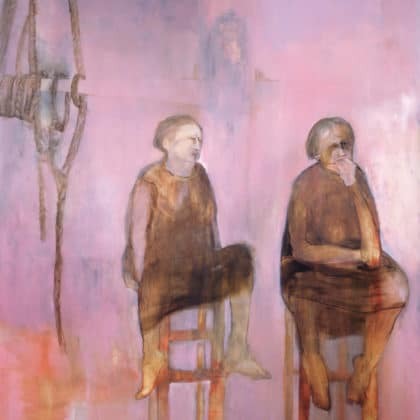 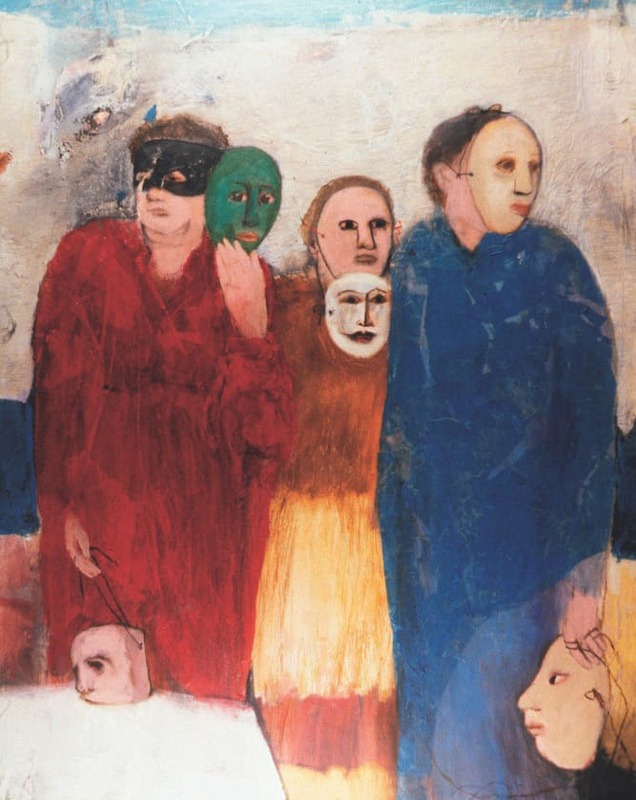 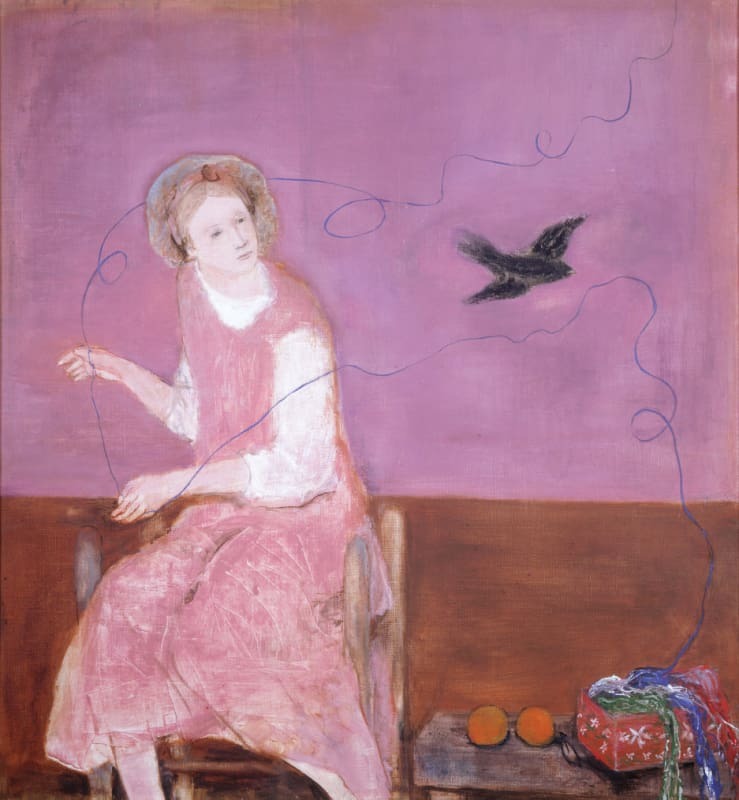 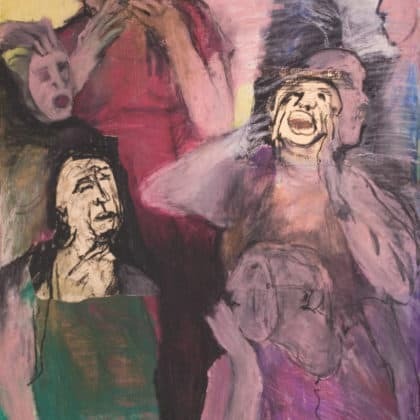 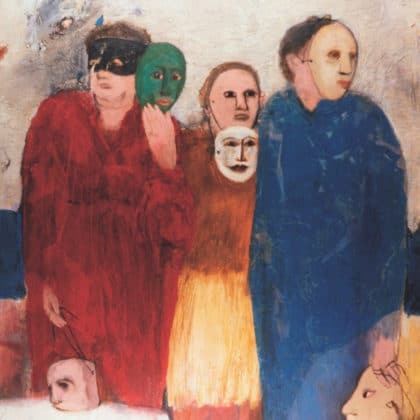 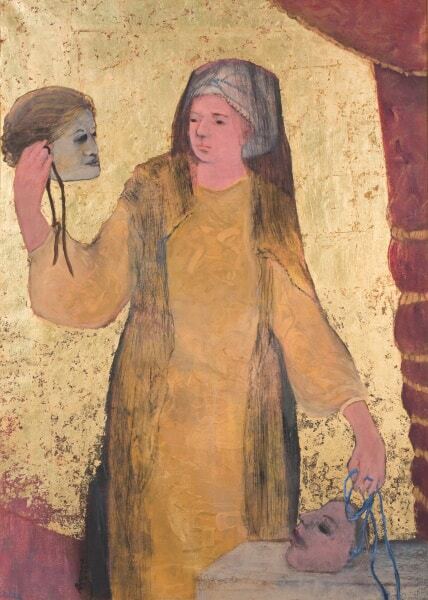 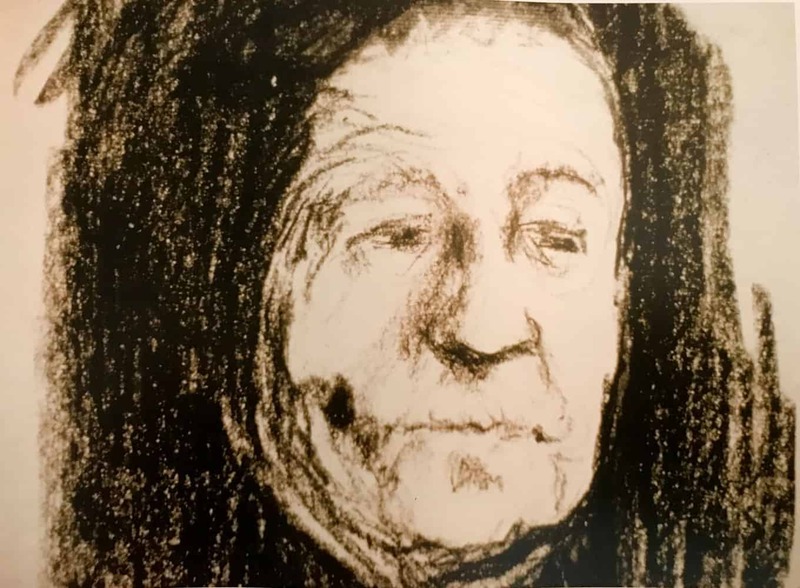 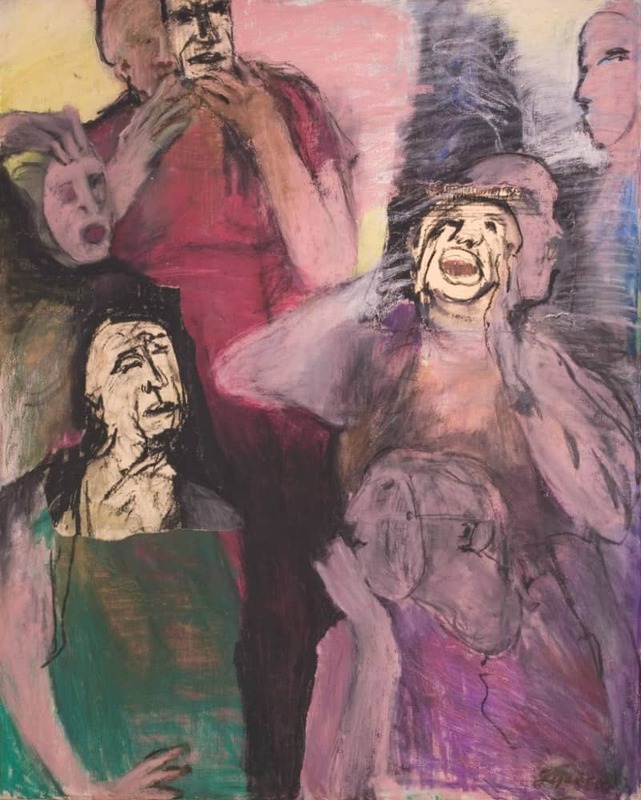 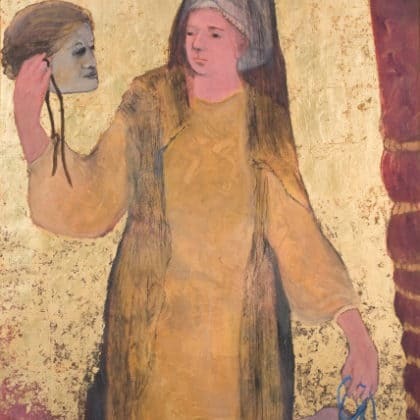 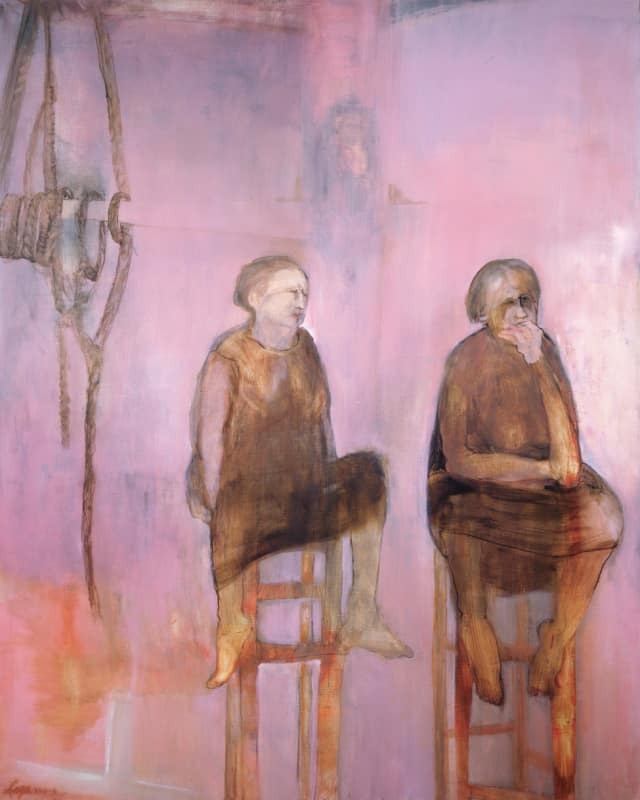 Many of Malamed's most powerful paintings represent widows dealing with pain or loneliness, for although their numbers have increased, senior citizens remain marginalized. 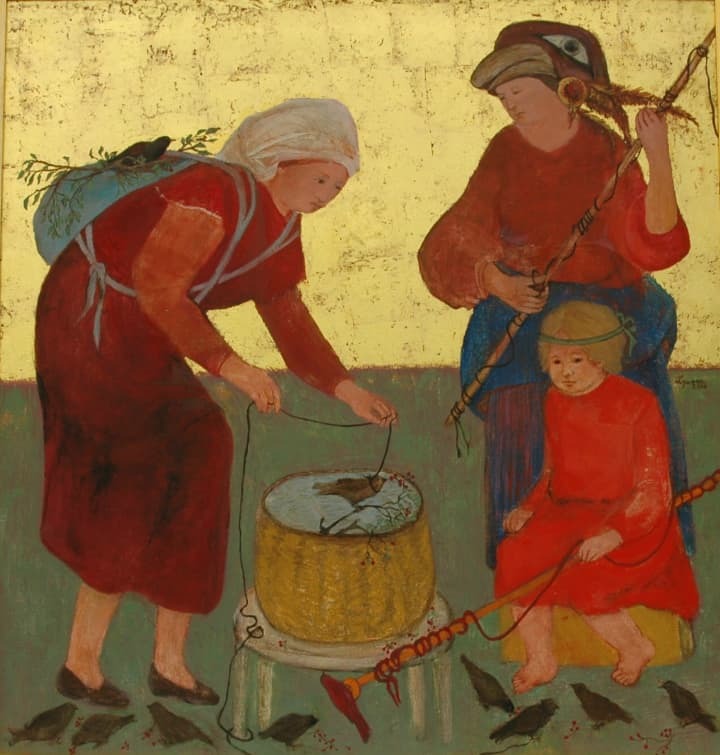 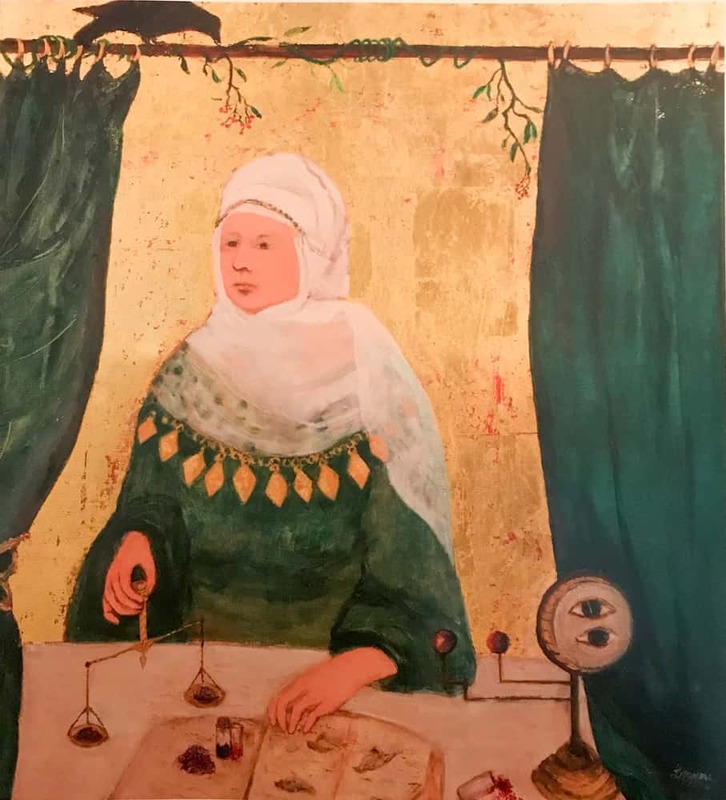 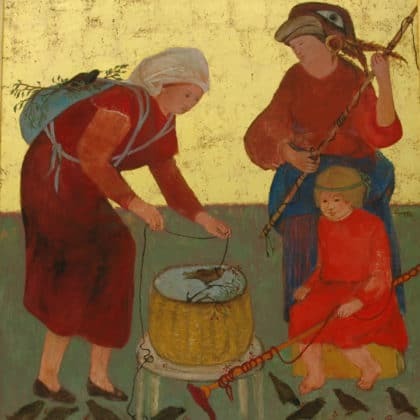 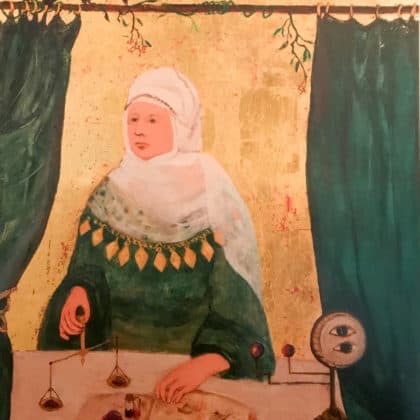 Her liberal use of 23k gold leaf as background serves not only to separate the figures one from the other but emphasizes the wisdom and dignity of the elderly. 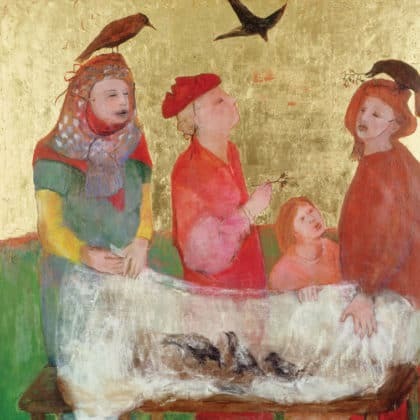 Radiance, Mystery and a sense of the divine emanate from medieval and early Renaissance European religious paintings, which blended humanity's frailties with flat, often distorted perspectives and the lavishly gilded backgrounds used to depict the heavenly realms. 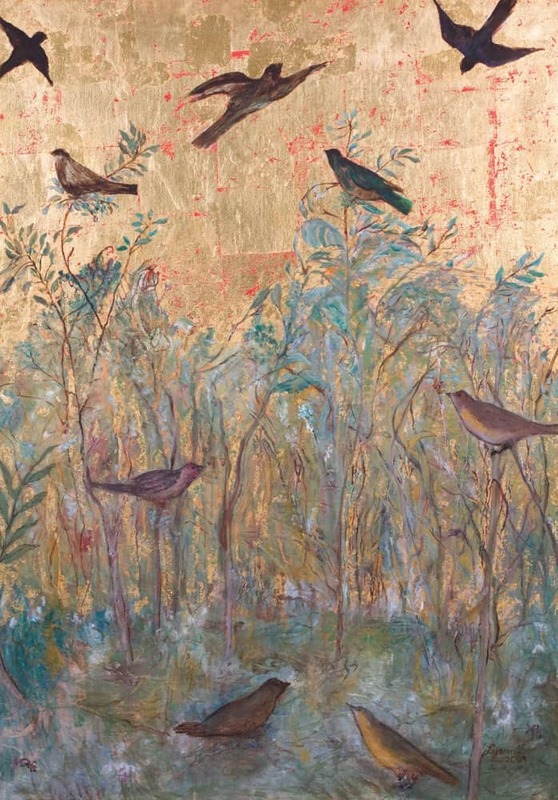 No stranger these traditions, Lyanne Malamed revisits the gilded, ceremonial splendors of Byzantium but does so with a unique, modern sensibility. 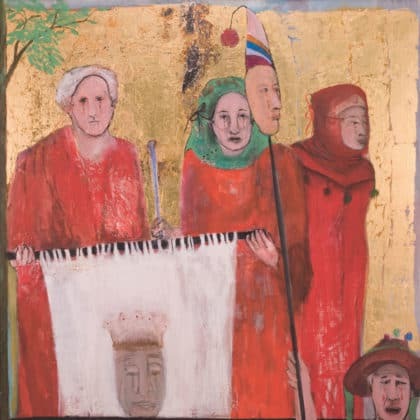 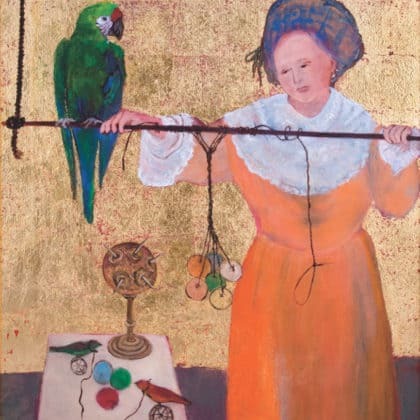 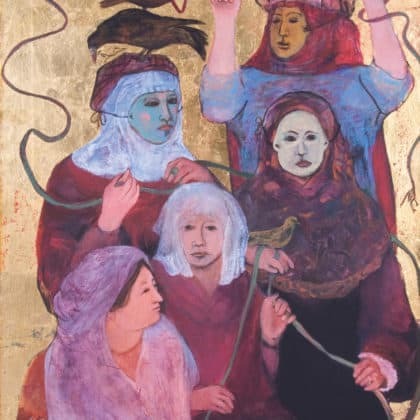 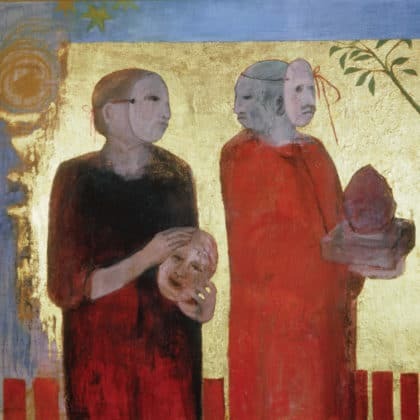 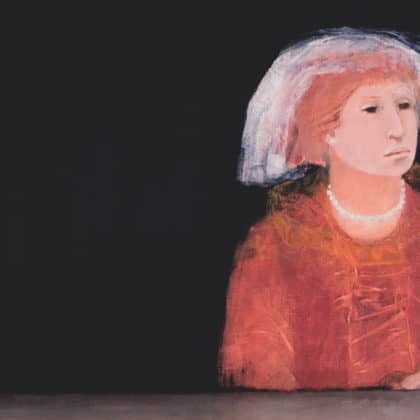 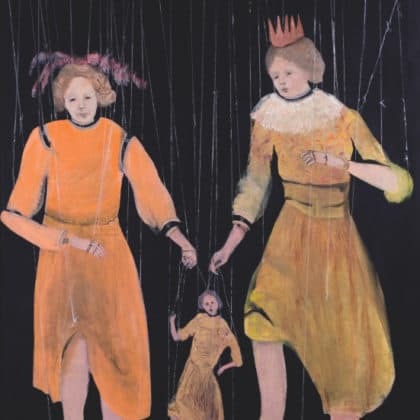 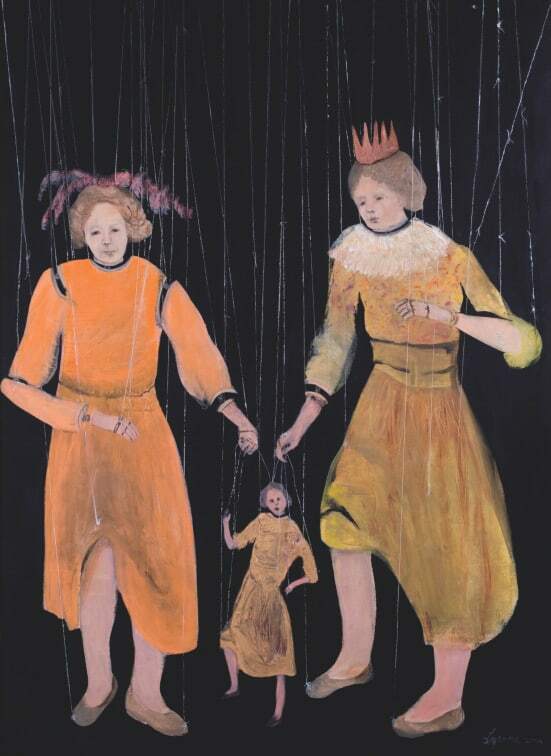 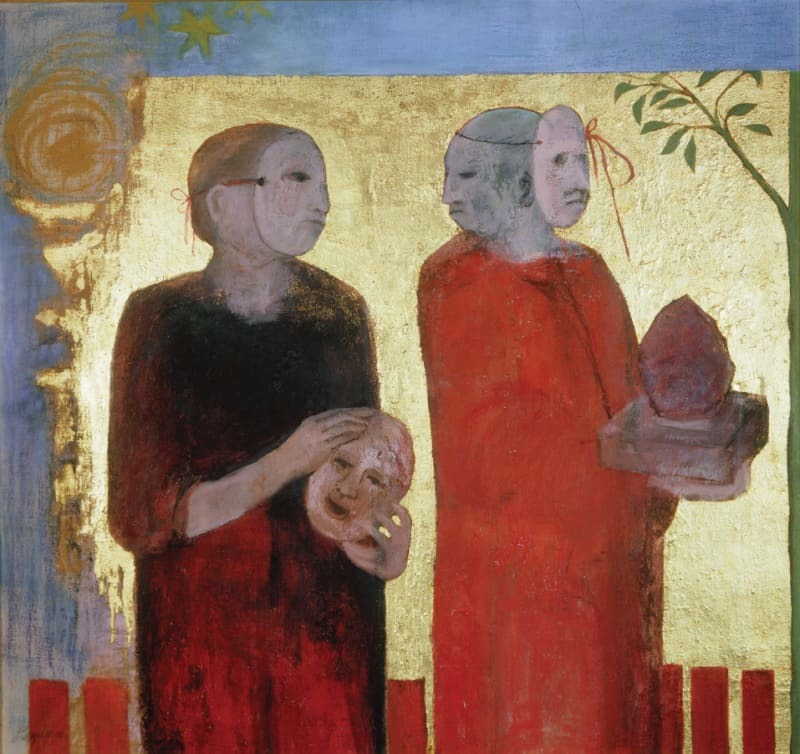 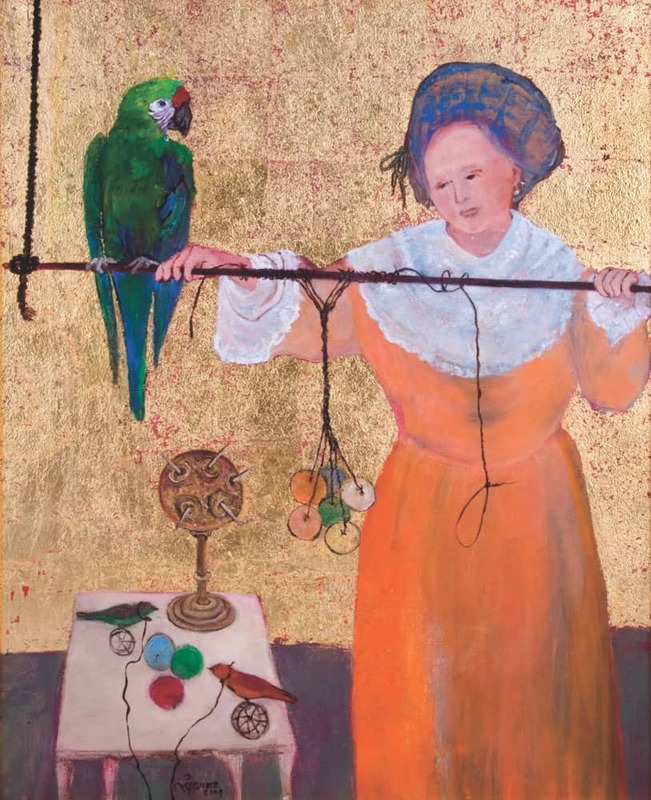 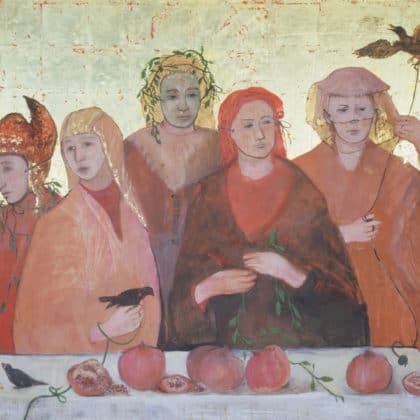 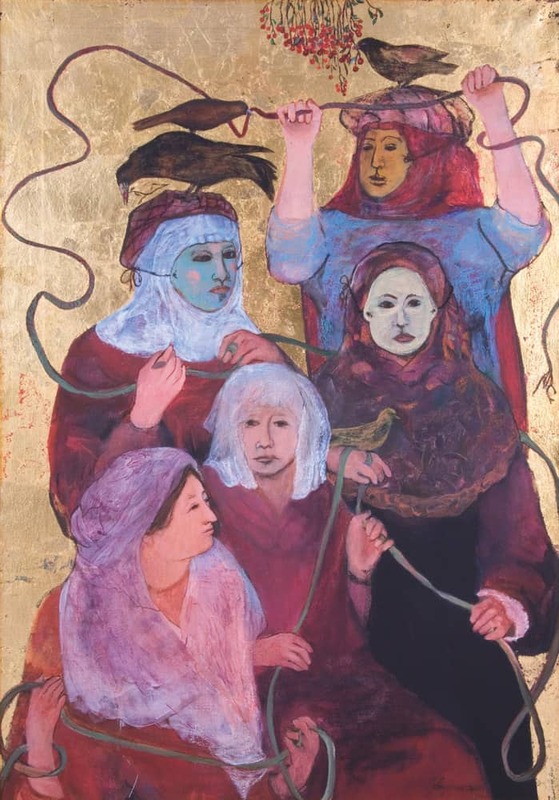 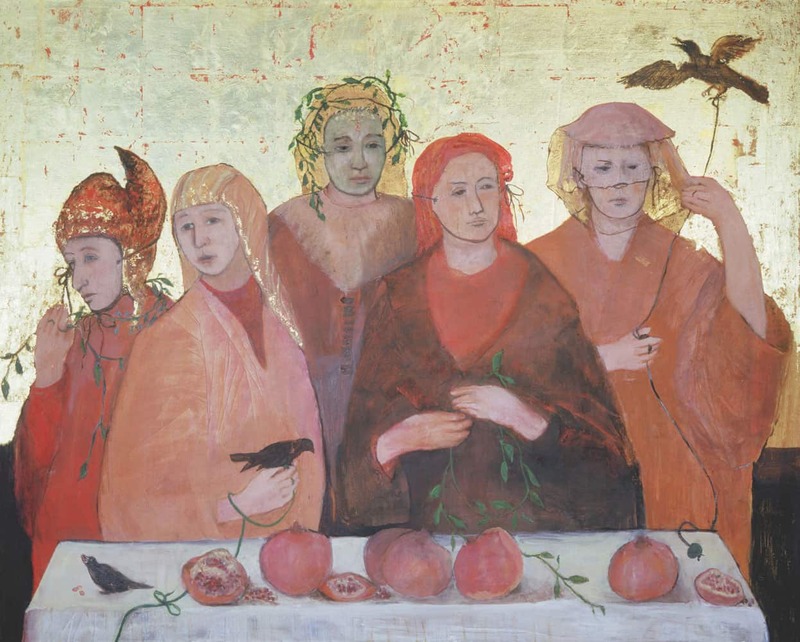 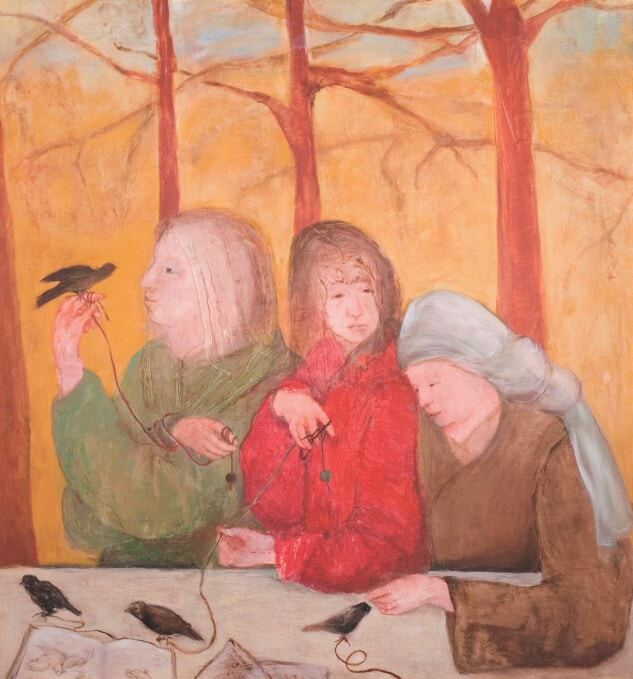 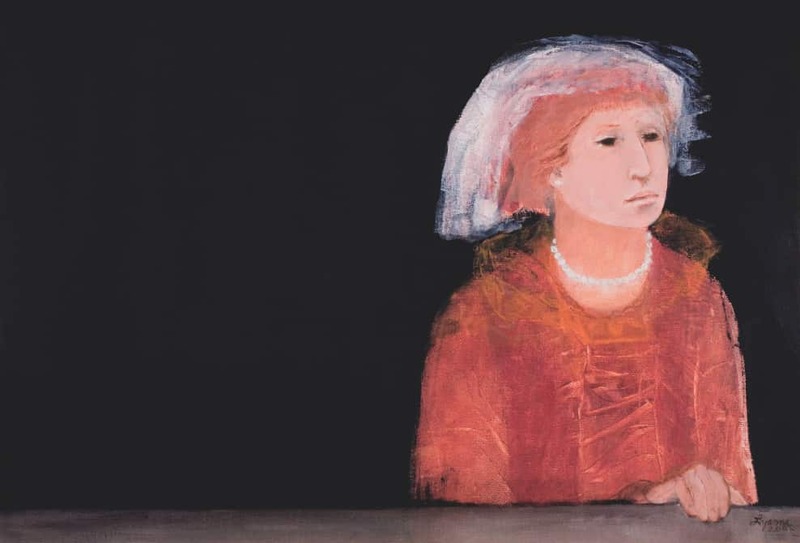 Utterly distinctive, Malamed's art uses a rich language of symbols and historical techniques to portray the wisdom, isolation, dignity and value of women, especially those with age and experience. 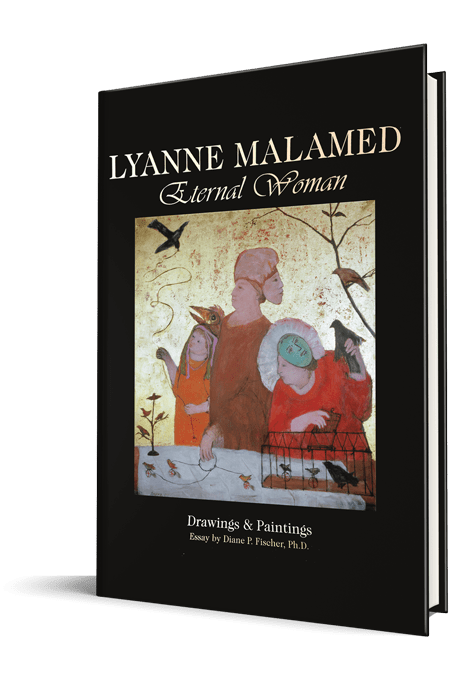 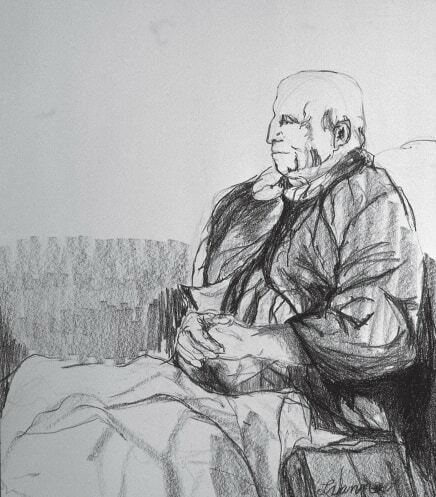 "Lyanne's consistent dedication to the artistic exploration of the elderly figure has resulted in work of remarkable depth and integrity. 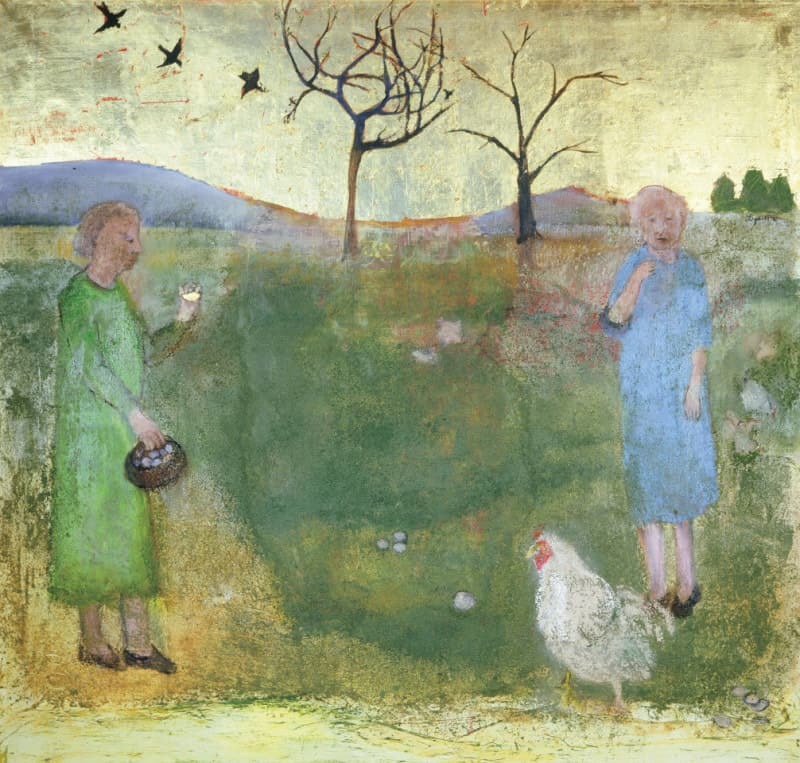 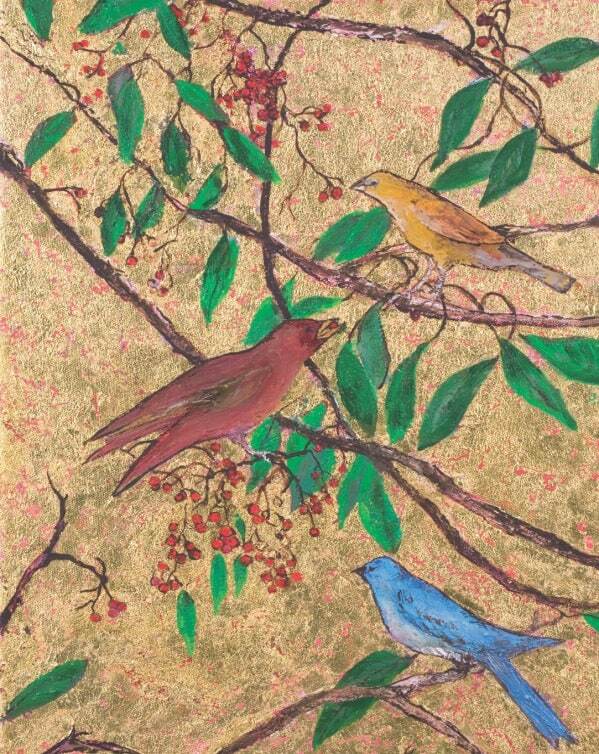 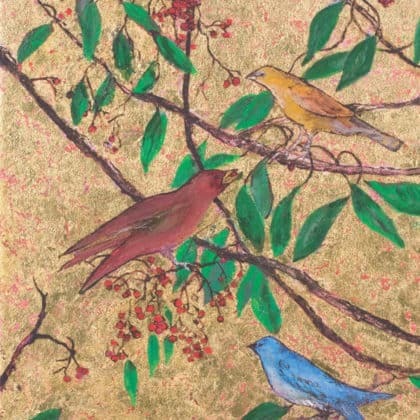 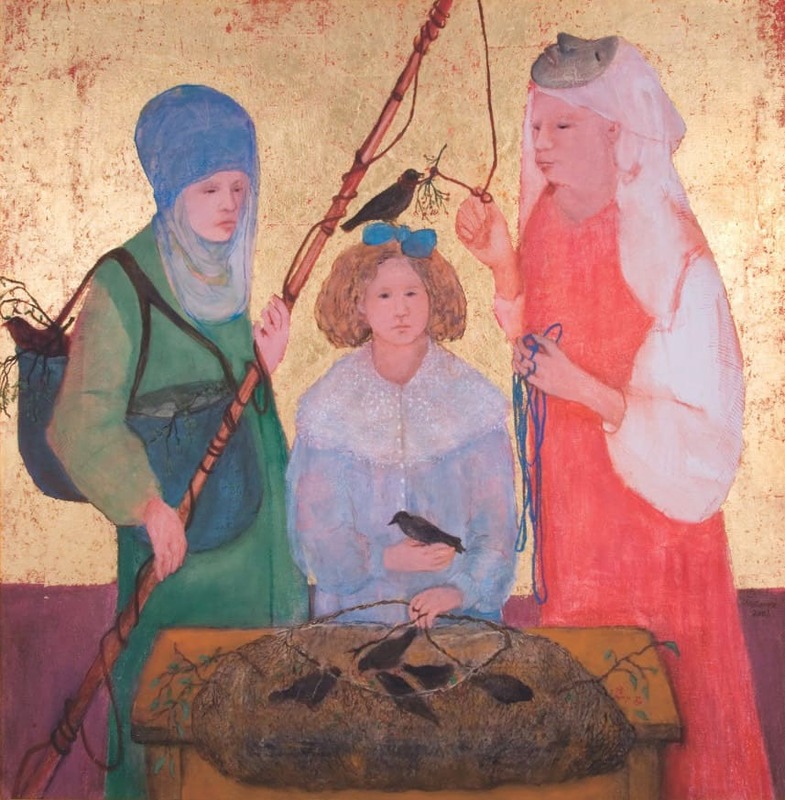 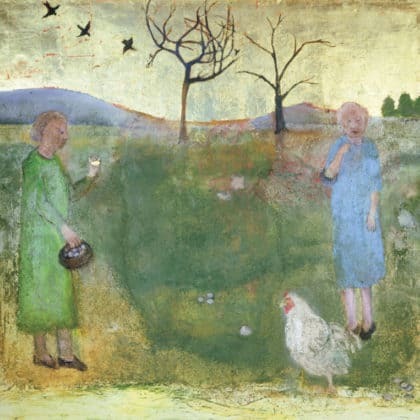 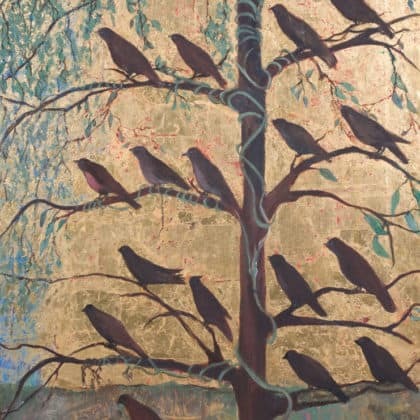 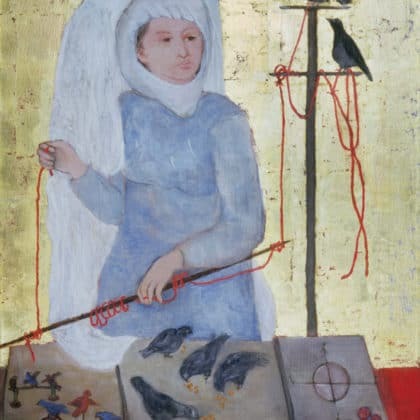 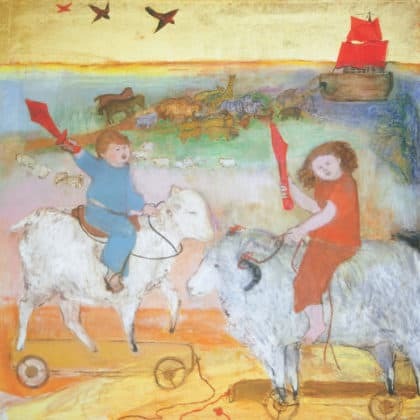 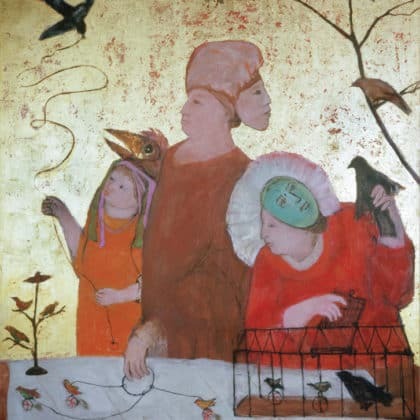 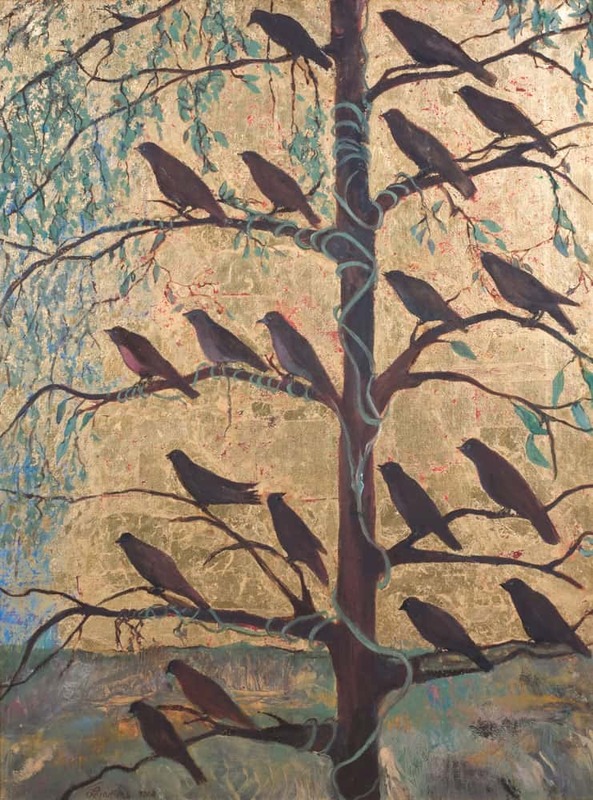 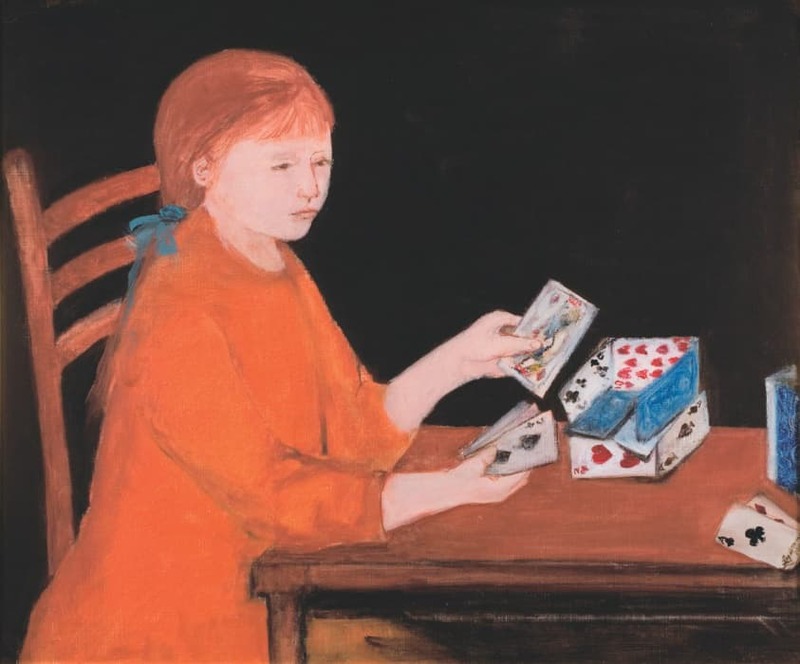 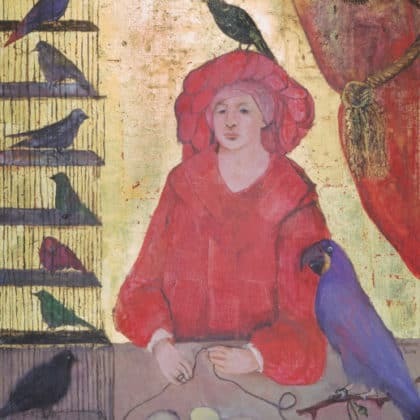 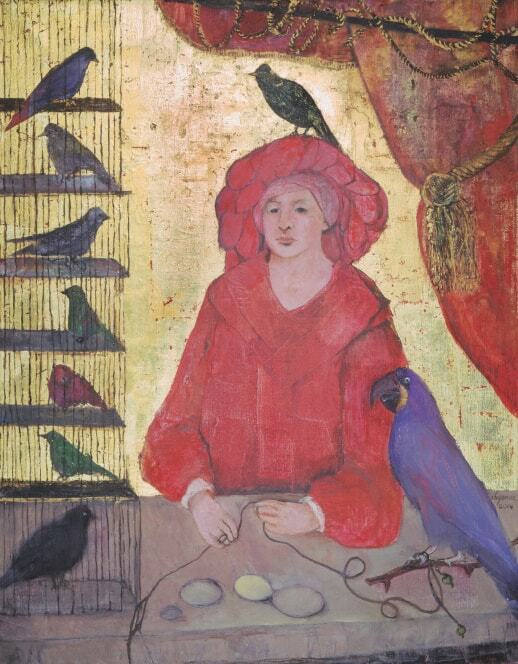 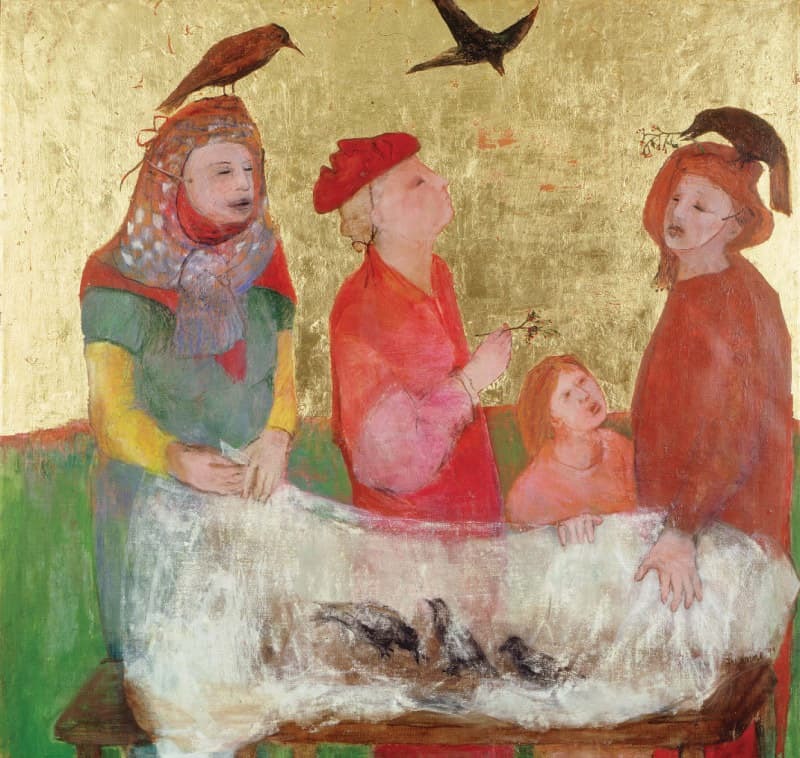 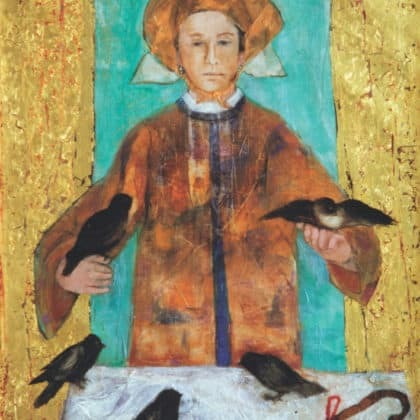 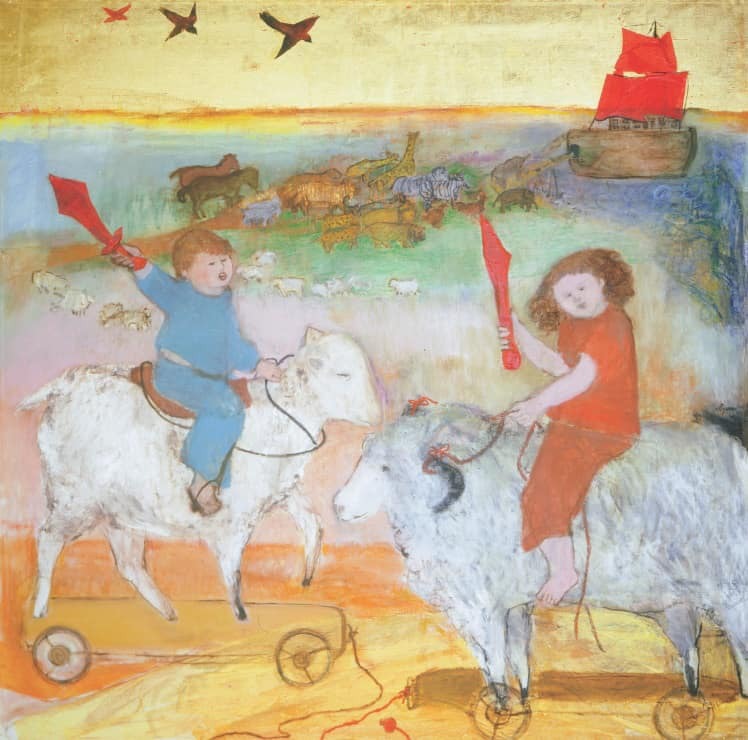 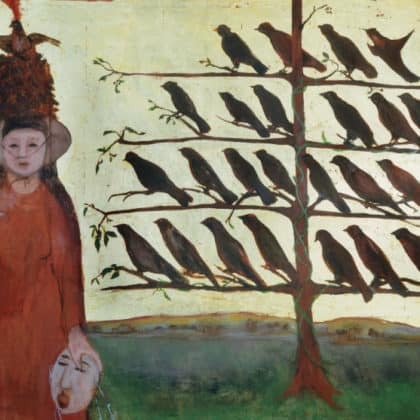 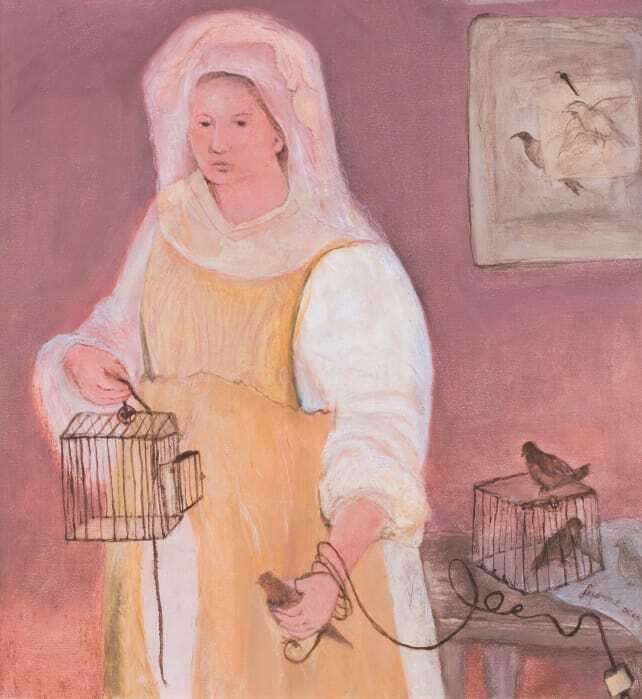 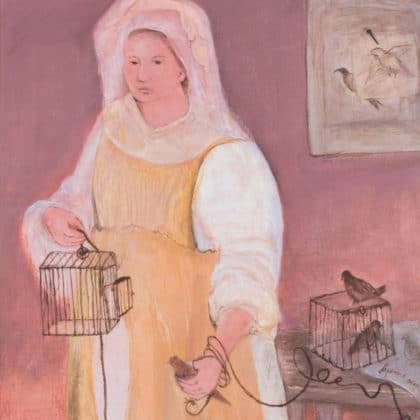 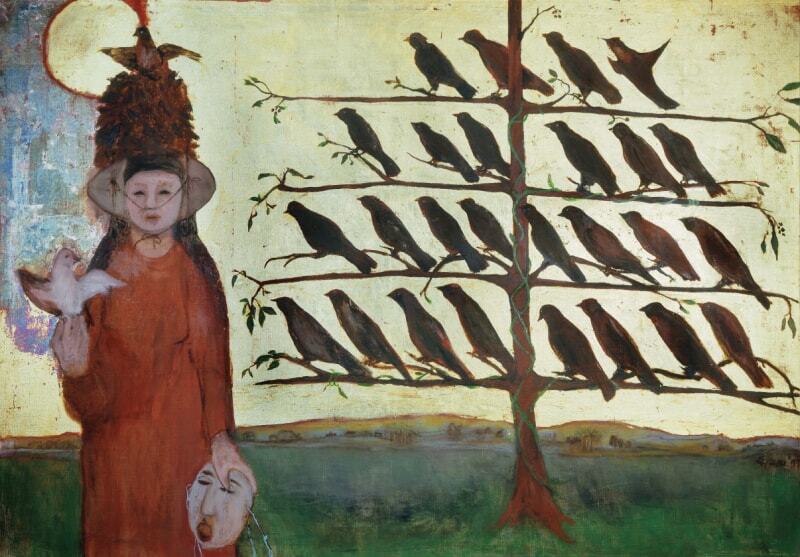 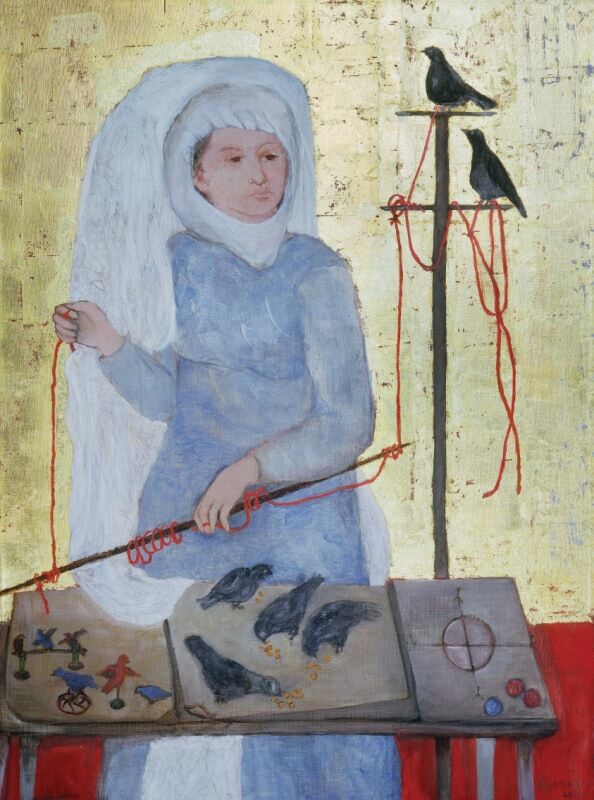 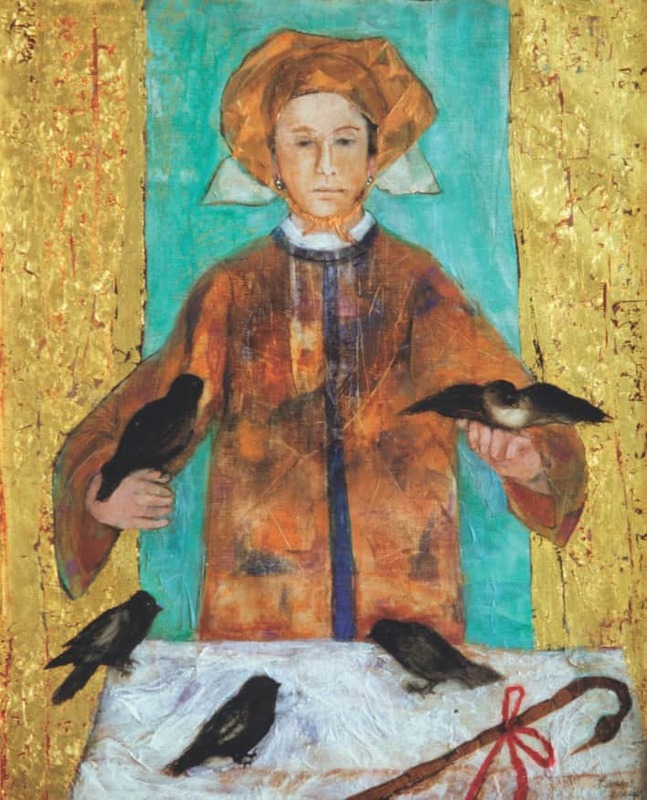 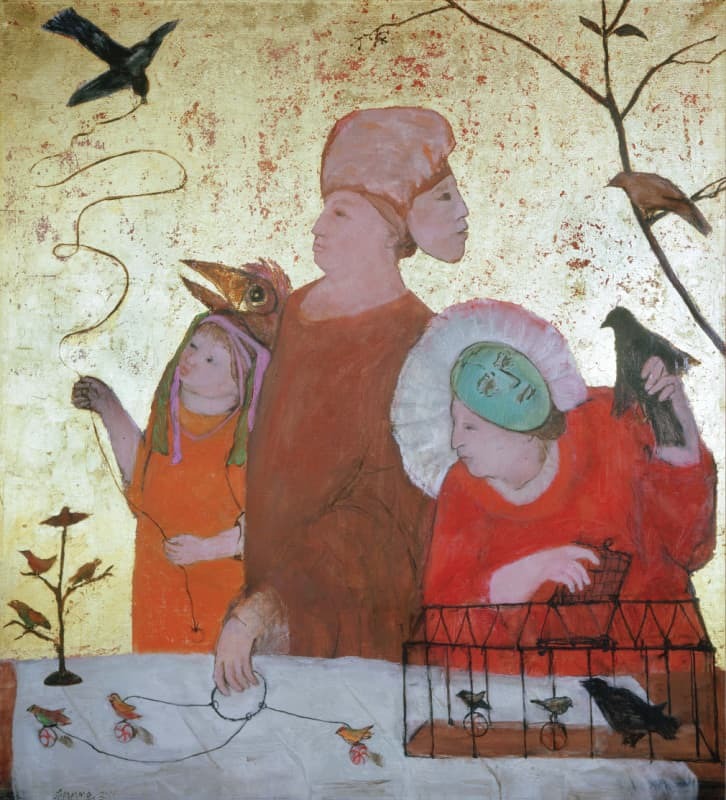 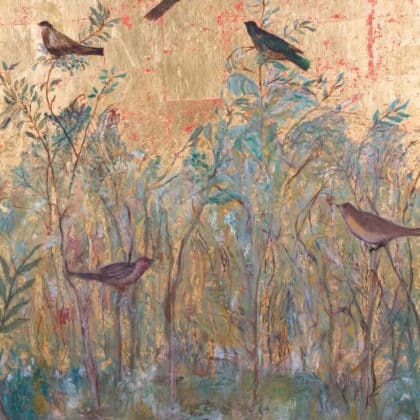 Gradually she has added elements of mythical subject matter such as the bird and the horse, but no matter what the subject, her honesty as a painter touches the soul of the observer."